As Brisbane Interior Painters, we know that no paint job will last forever. However, it is very easy to make a good paint job last for years to come! We are happy to offer our maintenance programs, annually visiting the jobs that we have completed for body corporate, residential and commercial properties. This allows us to assess any repairs or touch ups that may be required. This is much easier than waiting for the entire paint job to detoriate and then have to redo the entire job. Along with our annual House Painting Brisbane Maintenance Programs, we can also offer tips and tricks that can help keep any paint jobs in good condition and lasting longer. While we understand that these occasional touch ups and repairs are sometimes necessary, it also helps to use high quality materials when initially performing the service. We use Premium Dulux products, meaning that they are safer for you and your family; are less likely to peel or fade, and will continue to make your home or office look fresh for a much longer time than any cheap paint could. We want to make sure that the job that we do is kept in prime condition. If you would like more information about our House Painting Brisbane Maintenance Programs, then please feel free to Give us a Call. We will always be happy to help in any way we can! Contact the Professional Brisbane Interior Painters today for a superior painting service! 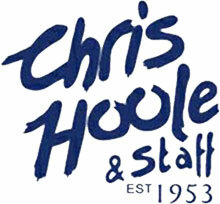 Why Choose Chris Hoole Brisbane Interior Painters?